Okay, now that you’re up to speed, it’s likely that your room now looks like the result of a burglary, or an unfortunate clothes explosion. You wonder how on earth you’ll ever be rid of it all. But don’t worry, fear not, you’ve done the hard part… for now. The first thing to consider is time. 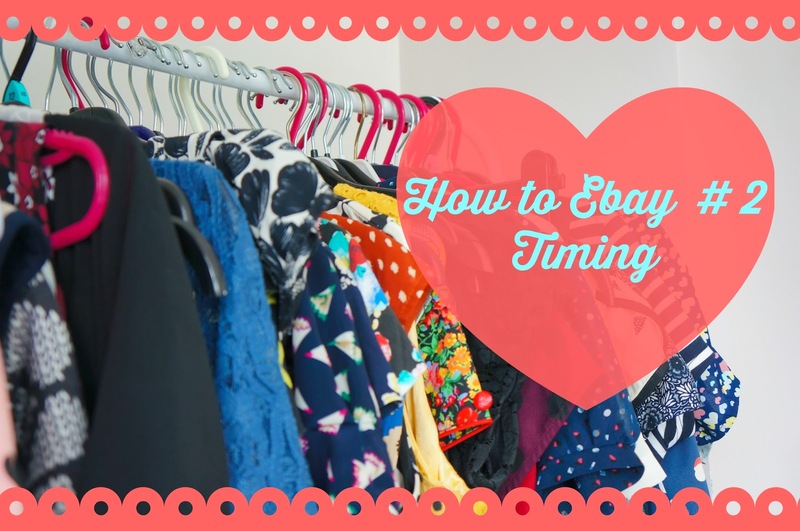 Realistically, how much time do you have to devote to listing and selling your clothes? A few hours? An entire day? EBay is time consuming! If your time is limited, I suggest choosing around 6-10 items to list. This should take you approximately one to two hours depending on how familiar you are with eBay. Out of your pile, choose one that you know will sell well. For example, current season clothing from high street stores, or quality basics that are expensive to buy. This could be a pair of Topshop high-waisted jeans or an expensive brand of high heels. Now you have your magpie item (the item that will draw people to you sales) you need to choose other items that are fitting with the magpie. 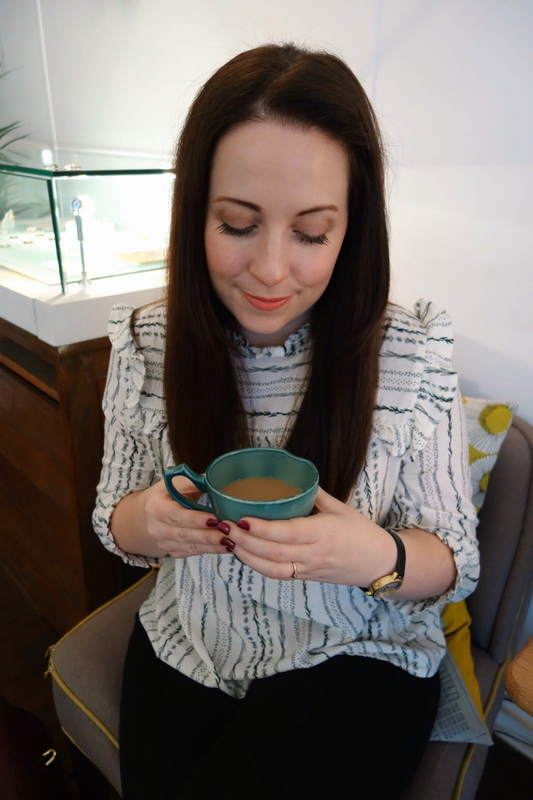 Consider who your target audience is, are they similar to you? Be selective here. Choose items that are similar sizes and similar styles. That way, when you encourage them to check out your other items they will like what they see. Therefore, increasing watchers and hopefully bidders. Ideally your items should vary in quality and brands. Why? Well, some items of clothing are not branded, but are still coveted. For example, peter pan collared unbranded dresses. If you think an item is of a similar style to a branded item, list them close to one another. You cannot spam a title with misleading brands, however you can list these items in the same lot. That way, increasing your viewers and watchers, and also the chance that your buyers will see the item. Getting a good price for unbranded, or lesser known brands, is about mixing up the brands that you list. Enlist a friend and arrange an eBay day. EBaying can be tedious and monotonous, share the load with a pal who’s also wishing to clear some room. The aim of the game here is to work quickly. Arrive early with fizzy pop, bagels and sweets to keep you going in the later hours. Share the work load of photographing and help each other to list items. List as many items as you can. The more you list, the more people you will attract to your eBay shop. Therefore increasing your views, watchers and, you guessed it, bidders. I have always found listing on a Sunday evening to be the most fruitful. When you consider it, Sunday is the day of rest and for spending a couple of hours online catching up. I always aim to list items to end between 7-9pm on a Sunday evening. You can pay 6pm to choose the exact end time of the listing. However, if you’re savvy you can choose to list at that time on a Sunday evening, or run a five day listing and list on a Tuesday evening. Sometimes, I will just bite the bullet and pay 6p per listing to choose the end time. In my opinion, in the long run, it’s worth it. Here’s a tip I’ve picked up along the way, time your listings to end near the end of the month. Why? Well, to be brutal, most people are paid around this time. I questioned everyone in my family as to when they were paid, most game me dates in the 20s. Listing your items the week before pay day doesn’t mean they won’t sell, I believe it’s likely they’ll go for less. Be smart, be savvy, be a business woman (man?). Honestly, I’m taking it too far, but eBay can make you feel like you have your own little empire. Just me? How long will you list it for? I’ve tried all types of listing duration. Ten days, 7 days, 5 days and 3 days. Never a one day listing. Usually, I find at least 7 days is a good amount of time to build up viewers, watchers and bidders. If you list for a shorter amount of time, you reduce the amount of people able to view your item. You offer a time constraint. Listing for 7 days will allow you to hit all peak times on eBay and should hopefully increase visitors to your listing. Now you can see why I’ve never listed for a day!